Eritrea is a country in the Horn of Africa. With its capital at Asmara, it is bordered by Sudan in the west, Ethiopia in the south, and Djibouti in the southeast. Its population is 6 million people and its GDP per capita is USD 543. Eritrea is one of the least developed countries in the world, according to the World Bank. It gained independence from Ethiopia in 1993. Eritrea has made significant progress in public health, including improved maternal health, lower child mortality and reducing diseases like HIV, TB and malaria. The health sector enjoys strong political commitment and support from the government. Eritrea has a relatively low adult HIV prevalence. The TB burden has been falling at a higher rate than the global average. Significant progress has been achieved in controlling malaria in Eritrea, which is striving to achieve pre-elimination and universal coverage for prevention and treatment. Prevent, control, and reduce communicable diseases, with emphasis on the broad range of diseases that affect the health of PEOPLE (vector-borne, STI, HIV/AIDS, diarrheal diseases, respiratory infections, tuberculosis, emerging diseases, including resistance to antibiotics, vaccine-preventable diseases, and leprosy). Healthy growth and development. To this end, care will focus on mothers, children, and adolescents. Addressing maternal mortality will be a key objective of technical cooperation, as will infant mortality, with emphasis on neonatal mortality; malnutrition; psychosocial development, and a healthy school environment; and healthy lifestyles for adolescents. Most behavioural risks to health should be addressed by technical cooperation. Disaster preparedness, management, and response. Special attention will be given to mitigation, with the focus on public water utilities, sanitary infrastructure, and health services. Achievement of universal access to health systems that are integrated, equitable, and sustainable, reorienting health sector reform to strengthen the steering role of the health authorities and the essential public health functions; and development of human resources for health to help attain greater coverage, effectiveness, and efficiency of health services at the national and institutional levels, prioritizing the first level of care and community participation. Promote the incorporation of health issues in social, economic, environmental, and development policies, promoting the concept of health in human development among policymakers and the drafting of health legislation. Develop and strengthen the capacity to collect, analyse, and disseminate health information, prioritizing vital statistics and data analysis to facilitate timely information on the country’s health situation. To make progress toward universal access to an integrated, equitable, and unified health system. The steering role of AHO and the different levels of the Health System strengthened. Information generated on financing, expenditure, inequities, and performance of the public sector health system for use by the government when needed. 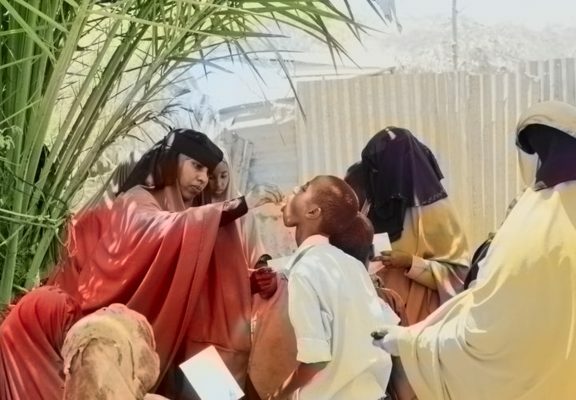 A decentralized management model for service networks established, with emphasis on municipal areas and on participation by those who practice traditional healing. Policy for the management and development of human resources in health prepared by consensus and submitted to the government. Policies and programs for development of health technologies prepared and placed at the disposal of national authorities. Administrative processes for the management of this project implemented efficiently and effectively, in accordance with AHO standards and procedures. To improve the quality of environmental health and sanitation services and increase the URAs, as well as the national response capacity to disaster. Technical assistance provided for the organisation of environmental surveillance and monitoring systems in departmental health services, including the development and strengthening of the country’s toxicology centres. Technical support provided for the operation of coordination mechanisms. Technical assistance provided for the preparation of projects in environmental health and sanitation in municipalities. Technical support provided to train personnel from municipalities, departmental health services, and the environmental health. Technical assistance provided to prepare environmental health projects in indigenous communities. Technical support provided for the program to improve water quality nationwide. Technical assistance provided to implement the environmental primary care strategy in four of the country’s departments. Technical assistance provided to train professionals in national universities as specialists in environmental health. To strengthen public health monitoring, as well as decentralized, participatory, and cooperative management, and maintain vaccination coverage to prevent and control priority and vaccine-preventable communicable, emerging, and re-emerging diseases. The public health monitoring system installed and operational in the nine departments. Decentralised local capacity in the prevention and control of emerging and re-emerging communicable diseases developed. Instruments and processes prepared that facilitate participation in routine public health monitoring and the prevention and control of communicable, emerging, and re-emerging diseases, in cooperation with organized civil society. Research and surveillance of emerging, re-emerging, and priority prevalent diseases, and the response to them, initiated and consolidated. Follow-up performed of administrative procedures that facilitate technical cooperation to help monitor public health and prevent and control communicable, emerging, and re-emerging diseases. Support provided to maintain high levels of vaccination coverage with quality biologicals and to implement an active and comprehensive monitoring system. To reduce the burden of disease and mortality throughout the life cycle, with special emphasis on the socially excluded population. National capacity to promote a healthy life cycle strengthened. The Integrated Management of Childhood Illness strategy, including the neonatal component, consolidated. Healthy spaces created for schoolchildren and adolescents. A program to reduce mortality in women from maternity-related causes and cervical cancer prepared and carried out. The Healthy Municipality Strategy strengthened. Food and nutrition policies and programs formulated and implemented. Social and public participation processes in under stage-by-stage consolidation within integrated health promotion programs. Management of the project’s technical-administrative components improved. To efficiently and effectively exercise the administrative dimension of management AHO. The administrative capacity of the AHO is strengthened, with the consequent improvement of administrative processes. Management information systems of the AHO is developed and strengthened. Use of the Expanded Textbook Program (PALTEX) consolidated in institutions that train health workers through an efficient delivery system for high-quality, scientific instructional materials at prices much lower than market prices. To improve and increase access to scientific and technical information that promotes the country’s application and use of information technology. Virtual libraries on health, health and the environment, public health, and nursing developed, strengthened, and updated. Basic health libraries strengthened in terms of information, documentation, access to the Internet, and technical assistance. Operating capacity of the Information and Documentation Centre of AHO Office increased and strengthened. To efficiently and effectively exercise the policy and technical dimensions of the management of AHO. Technical-administrative capacity of the AHO strengthened. Decentralisation processes of AHO technical cooperation strengthened.